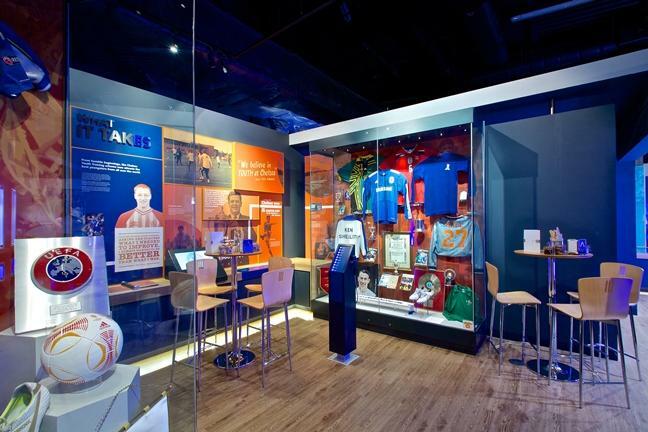 Our museum offers you a chance to look into Chelsea FC history through years of Chelsea memorabilia and interactive games to play. 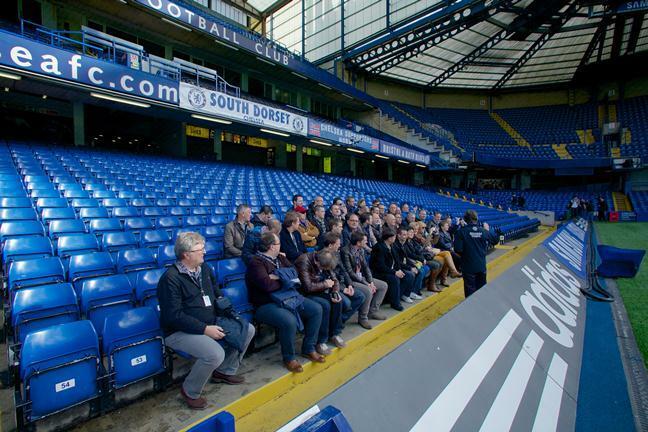 The guided tour of Stamford Bridge home of Chelsea Football Club, is a fun, informative and unforgettable experience. The tour includes visits to the home & visitors dressing rooms, players tunnel, pitchside, dugouts, press room and much more. 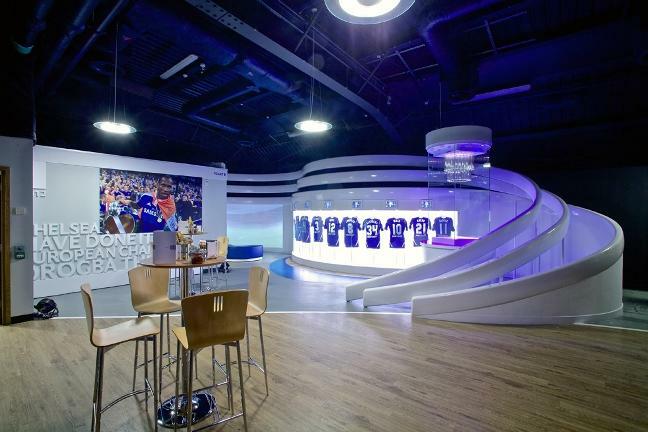 Additionally, our amazing new Museum tells the story of the club through exciting interactive exhibits, user-friendly touch screens and pioneering audio-visual shows. For that added ‘wow’ factor why not include a behind-the-scenes tour for your delegates. Taking in the press room, dressing rooms and even the manager’s seat in the dugout, this exclusive view of Stamford Bridge provides the perfect relaxing distraction for your guests after a hard day’s work. The tour of Stamford Bridge is not to be missed, home of the incredible Chelsea Football Club It’s a fun, informative and unforgettable experience, enjoyed by sports fans of all ages, from all over the world. All of our AV/PA equipment is offered by our in-house production team, Peachy Productions who can arrange a quote to suit your specific requirements. You may also bring your preferred production supplier at no additional cost however some fees will apply depending on size of production. Discover the most versatile, sophisticated and well equipped venue in London. 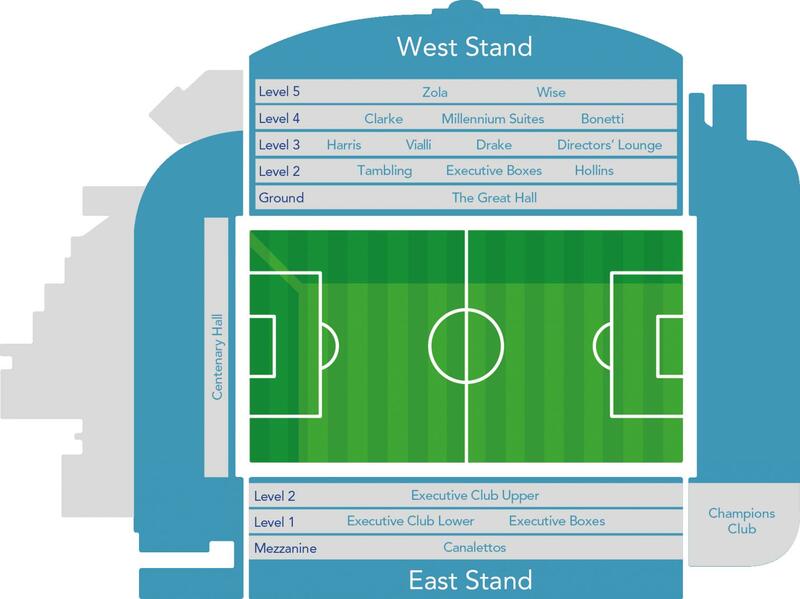 Chelsea FC’s Stamford Bridge offers rooms suitable for corporate events, exhibitions, training and special occasions. With an impressive 25 function suites, 60 syndicate rooms and the Great Hall fit for up to 1000 delegates, each space offers an abundance of possibilities. In the same way that your event is more than just a date in the diary, Stamford Bridge is more than just the home of one of Europe’s biggest football clubs. From a meeting with the board of directors to a global sales team, no matter the agenda, our meeting rooms will provide you with a productive environment. Parties by nature should be fun and exciting, so host your next event in a venue that will really get your guests talking. 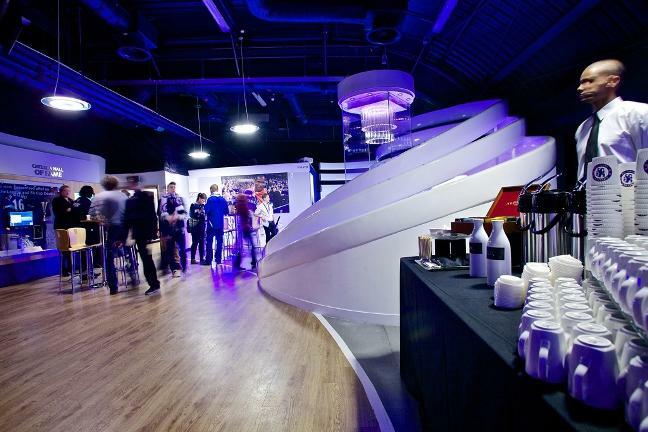 Chelsea FC is perfect for champagne receptions, gala dinners, award evenings, or simply a celebratory shindig! There is also an option to take advantage of a variety of onsite facilities, from a behind the scenes stadium tour to relaxing in the Chelsea Health Club and Spa. Head to Frankie’s Sports Bar and Diner for a bite to eat, or check-in to our hotel after a busy day. 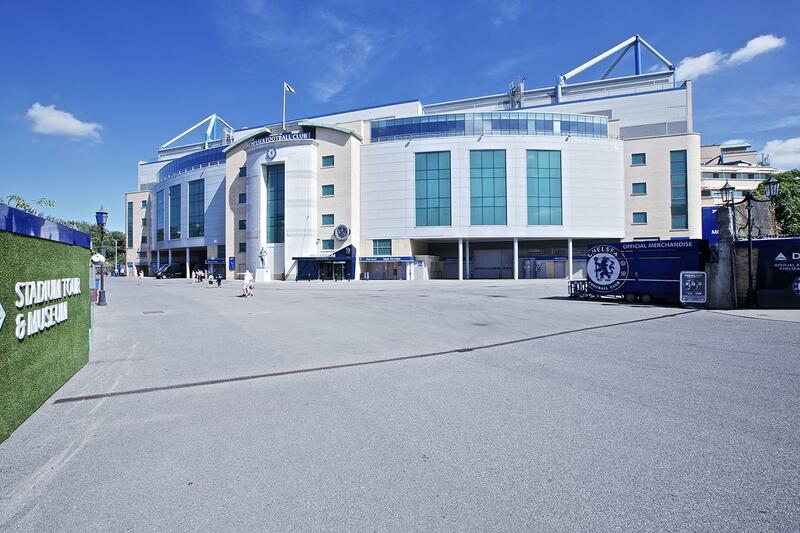 With great transport links from all major airports and rail stations, Chelsea FC is easily accessible for all delegates, guests and visitors. We look forward to welcoming you to Stamford Bridge soon.